There are a number of ways to populate your content library. VMs and vApps can be cloned directly to your content library and are stored as OVFs. .OVA file format is not supported in this release. 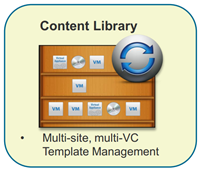 VM Templates can also be cloned to folders in your Content Library again stored as .OVFs. Scripts and .ISOs can be uploaded but unfortunately .ISOs can’t be directly mounted to a VM via the Content Library which is a pity as this would be great functionality, perhaps something that could be added as the Content Library is enhances in future versions. Once you have content in your library, templates for example can be deployed directly to a host or cluster or to a Virtual Datacenter. Previously you were able to directly convert a template to a VM, update it and then convert it back. 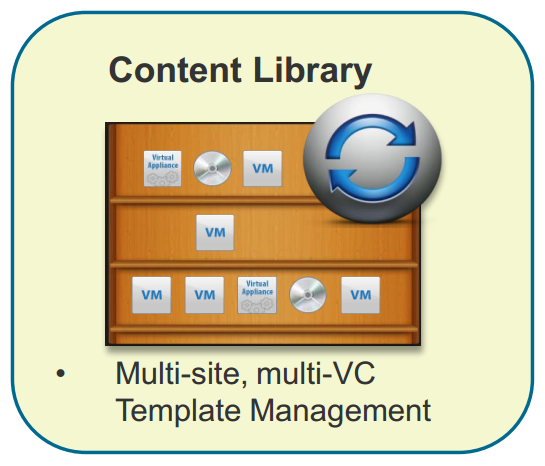 With Content Library it would require extra copies as VMs are stored as .OVF in the library. You would need to deploy a VM out of the template, make the changes to it and then export it back to an .OVF to the same library item. In place changes to the .OVF are not currently supported which is a shame. For the synching and replication there is a publish and subscribe process. You create a Content Library and then publish it. 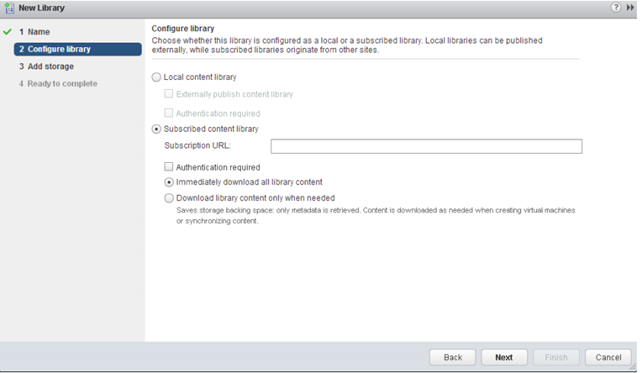 You then go to your secondary vCenter and subscribe to the published library. You can also choose to synchronise just the meta-data which is then replicated between your subscribed vCenters. When you deploy a VM or other content is needed, the content is then downloaded. By default the library is synced every day and you can limit sync bandwidth if you need to. You can however force download by right clicking on items (individually or multi-select) and selecting “Synchronise Now”. Only updated files will be replicated so if you have two disks and only one is changed, then only the changed disk file is replicated. i.e today, I put VM templates on NFS datastores (Hitachi HNAS) and then I get the benefit of fast provisioning (seconds) as new VMs are basically a fast clone of the template via VAAI-NAS..
Can I run a script directly from content manager? or do I need to import scripts before running them?